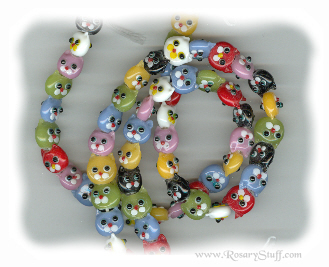 Handmade, Lampwork Kitty Cat Beads (for custom rosaries only, not for individual sale). See below for more details. 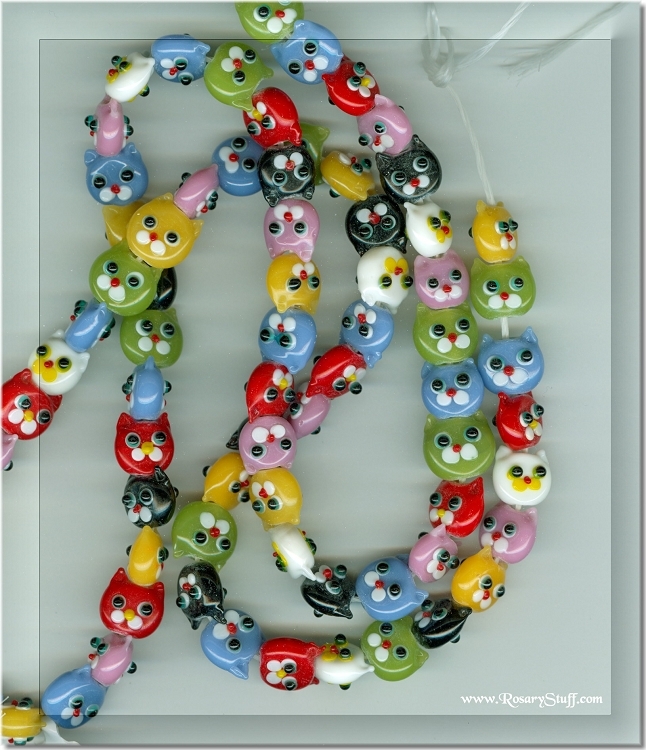 These adorable multi-colored, opaque, lampwork glass kitty cat head beads will make any rosary special. They are approximately 11x10x5mm in size. These handmade glass beads will be a bit more fragile than fire polished glass beads. The smaller additions (i.e. the eyes, and ears) may break off if handled too roughly. 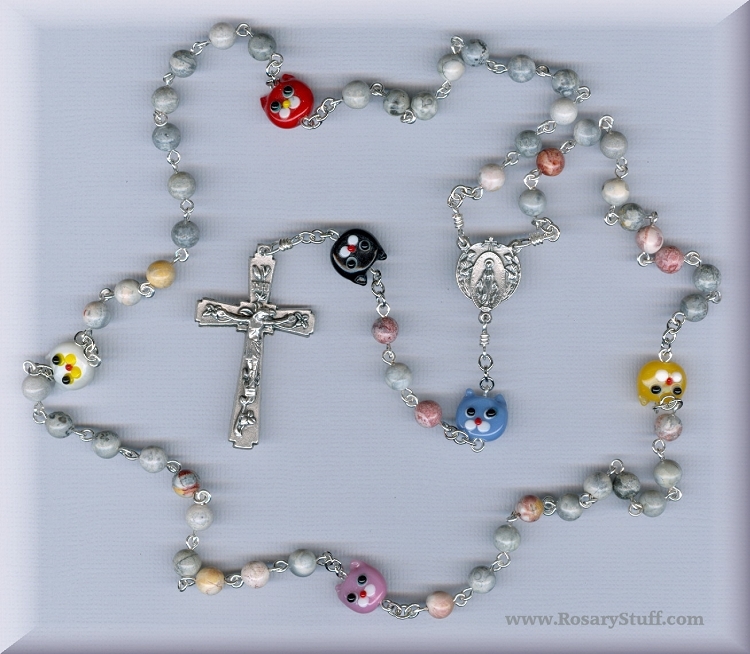 Price includes all 6 Pater beads. But if you would like an entire rosary made from these, please let me know and I can give you a quote. These beads are for custom rosaries only. If you are looking for individual beads for sale, please click here to visit my bead section for crafters.